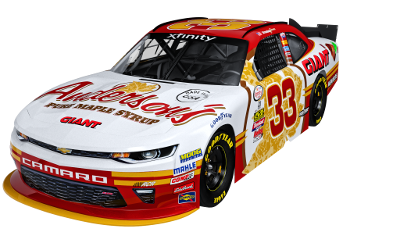 Anderson's Maple Syrup and legendary Nascar team Richard Childress Racing (RCR) are joining forces for 3 races in 2017 in the Nascar XFinity Series in the #33 car, driven by Brandon Jones. 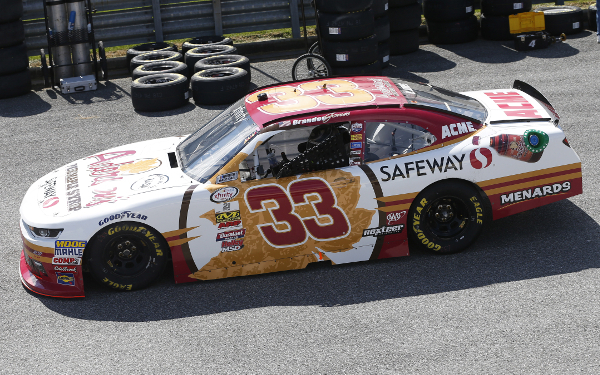 The first of the three races was on March 4th, at the Atlanta Motor Speedway in Atlanta, GA. Anderson's Maple Syrup was excited to have Ingles Markets on the car as well. After going to a backup car before qualifying, forcing Brandon to start the race near the back, he worked his way through the field to finish 14th. The second race will be on June 10th at Pocono Raceway, with Giant joining us on the car for the weekend. In addition to sponsoring Brandon in the XFinity Race, Anderson's will also be on his car for the ARCA race that weekend. The ARCA race will be broadcast live on FS1 on Friday, June 9th, and the XFinity race will be broadcast live on FOX on Saturday. The third and final race that Anderson's will be doing with Brandon Jones will be at Dover International Speedway on September 30th in the "Use Your Melon - Drive Sober 200". The race will be broadcast live on NBCSN beginning at 1:45 CST. 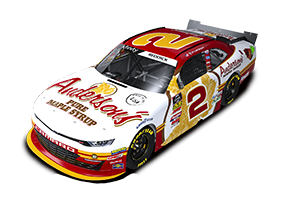 In addition to these three primary races, Anderson's Maple Syrup will also be an associate sponsor on Brandon's car for a handful of other races in 2017. Click here for the Brandon's Pocono Race Preview.